exuberant 'I know this song!' singalongs. dancing and partying all night long. Everyone couldn’t stop talking about how much they enjoyed the band. The song selection was perfect and they really know how to get the crowd going. The Breakfast Club was incredible! I couldn’t have been happier with the performance for my wife’s 40th birthday themed 80s rocker party. Steve and the band found ways to get everyone involved, to include the guest of honor and kids on stage! It was epic! Thank you so much! 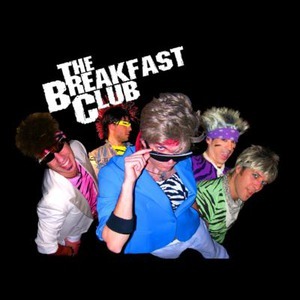 I hired the Breakfast Club for my husbands birthday party. They truly took the party to another level and everyone had a blast dancing to the classic 80s tunes. They were amazing and everyone commented on how great they were even after the event. 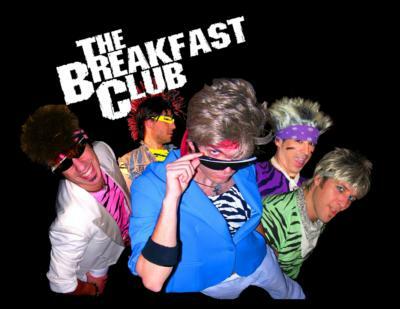 I would highly recommend them if you’re looking for a great 80s cover band! This band was fantastic. They brought so much ENERGY to our event and the music was sensational. They delivered exactly what the promised and then some. I would book them again without hesitation. The Breakfast Club was amazing! 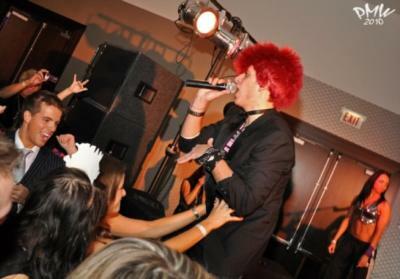 Everyone at our party loved them! They were so fun and interactive! Would highly recommend if you want fun, energy and some good ol 80s tunes! We danced the whole time! In addition, nicest people and great to work with! Reserve them before they book up! The Breakfast Club did an awesome job for our Class of 88 Class Reunion. I was a little concerned when they pulled up as they could have been my kids! That quickly faded from the first song. They might be in their twenties but they love 80’s music. They were Entertaining, had a great setlist, interacted with the crowd and everything that you are looking for in a band. It was a very hot and muggy night and they still gave it all their energy! Highly recommend! Terrific group - professional, on time, and very talented and fun... The crowd loved them! Thank you!!!!! I booked the Breakfast Club for a surprise birthday party for my husband. Steve and the band were wonderful and couldn’t have been more accommodating. The party was outdoors for about 50 people. They are great musicians and definitely made the party very fun. I had many compliments from the guests. I would definitely contact them again for another event. Communication with Steve was timely and professional. They really got the job done. Thanks! Totally exceeded expectations! Many people at the party will be calling them for future gigs. Please note The Breakfast Club will also travel to Cicero, Berwyn, Oak Park, Forest Park, Hines, Lyons, Riverside, Brookfield, Maywood, River Forest, Summit Argo, Carol Stream, La Grange Park, Bellwood, Bedford Park, Melrose Park, Westchester, Burbank, Bridgeview, Hillside, Hinsdale, Hometown, La Grange, River Grove, Stone Park, Western Springs, Berkeley, Franklin Park, Justice, Norridge.